Pickrel, Schaeffer and Ebeling (aka PS&E) put in a bid to act as the firm that employees our next law director. The Schaeffer in PS&E was our former law director. For the three years I have been Mayor, and the two years I observed council prior to being elected, Mr. Schaeffer provided dubious and politically motivated opinions that promote behaviors that soil the reputation of the city, cost the city hundreds of thousands and perhaps millions of dollars and leave the city open to hundreds of thousands of dollars of potential lawsuits. Below I provide a recent example that shows Mr. Schaeffer, and by implication PS&E, engaged in a direct political attack designed to thwart council’s ability to provide oversite to staff. The executive summary is provided first. A comprehensive essay with references follows. Mr. Schaeffer authorized city council to conduct an illegal meeting. As a city official, I have an unmitigated right to force council to conduct in public any discussion about possible complaints about me. I invoked that right because I know my actions protected the city and provide a model to be followed in the future. The meeting was illegally held in secret providing a political opportunity to question my actions. Mr. Schaeffer signed an advisory opinion where he provides false testimony. In a memo dated November 7, 2016 he writes, “She did not pass it around for all to inspect.”. When in fact Mr. Schaeffer witnessed her take a CD and page out of the binder and hand them to other people present in the room. Even if he somehow was not paying attention to the Council Member that was speaking when both shares occurred, Mr. Schaeffer was made aware of these facts in the days immediately after the incident and had an obligation to write this opinion with these facts addressed. Mr. Schaeffer signed another advisory opinion that ignores facts he observed and was specifically reminded about. In a memo dated November 1, 2016 he writes, “information about energy aggregation generally that does not appear to have been shared with all of Council, with all of the other bidders or with Staff”. Yet each item that addresses specifics about energy aggregation was discussed in the next subsequent public meeting and each of those items was again addressed within the letter I provided to council explaining my reasoning for vetoing the resolution. Mr. Schaeffer submitted a complaint to the Ethics Committee that was so poorly conceived a high school student would have been embarrassed to present the document. The complaint filed to the ethics committee contained only one allegation and that was that I had exchanged emails with one of the bidders. A review of the ethics commission rules shows that the commission addresses complaints that involve a public official or their families personally profiting. Comprehensive Essay: PS&E not a viable candidate to supply our law director. The fraud committed by Mr. Schaeffer should make his firm ineligible for consideration because each of the offenses listed in the Executive Summary occurred after Mr. Schaeffer announced he was stepping down as city attorney. The person PS&E presents as their choice for our next law director had direct knowledge of the last four items listed. He did nothing to prevent Mr. Schaeffer, nor has he done anything to correct Mr. Schaeffer’s action since. Additionally, it was common practice for other lawyers at the firm to compose memos on Mr. Schaeffer’s behalf and then have Mr. Schaeffer sign them. It is undetermined if any of the memo’s cited here fall into that category but it does provide another reason to question if we will get any better representation from PS&E absent Mr. Schaeffer. On October 24th, 2016 council voted to go into executive session to discuss collective bargaining matters, personnel matters relating to performance of a public official and pending or imminent litigation. After the discussion on collective bargaining the discussion on personnel matters relating to performance of a public official started. Council Member Smith was given the floor. At this time, she opened a large binder and it was obvious she was going to reference the material inside and that it was available for others to look at as well. This was manifested when she handed a CD contained in the binder to the Clerk of the Council for him to use so that he could show its contents on the smart TV. Shortly thereafter she removed a page from the binder and gave that page to Council Members Byrge and Blankenship to review. It was obvious from the start of the discussion that the majority of council was already informed this meeting was to discuss forming a complaint against me and many had the same information and background material. The atmosphere was similar to what you would expect from people that had already discussed and coordinated. At this time, I told council that I was invoking my right under the Ohio Sunshine law to request a public hearing. As soon as that occurred, council no longer had the legal authority to hold an executive session to consider the investigation of charges or complaints against me. I told council I was quite willing to move the meeting out to the main chamber, where it could be viewed and recorded. This would have allowed council to legally hold a meeting on whether they wanted to consider making a complaint against me. Instead, they chose to hold an illegal meeting on the advice of Mr. Schaeffer. I left the executive session and went out to the main chamber and waited for to see if council would come out and hold a legal meeting. After about 10 minutes I left for home. I monitored the live feed to see if council subsequently reconsidered and came out and held a public session. At 10:18 I sent a public records request to the Clerk of the Council for the information in Council Member Smith’s binder. Subsequently, I learned Mr. Schaeffer knew of the request that night and conveyed to Council Member Smith she did not have to comply even though he witnessed that she offered to share all of it and she had shared portions during the meeting. She left the building with the binder. • other employees did not use or have access to the notes (emphasis added). Has the Binder been shared by Ms. Smith in furtherance of her official duties as a Councilperson? The Public Records Request made by the Mayor occurred on the same evening as the Executive Session in which Ms. Smith brought the Binder with her. She did not pass it around for all to inspect. She did not refer to it except as she would refer to notes she had taken about the subject matter. He writes that statement despite the fact that he witnessed Ms. Smith take the CD and pages out of the binder and hand them to the Clerk of the Council and take the page out of the binder and hand it to Council Members Byrge and Blankenship for them to review. Even if he somehow was not paying attention to Council Member Smith as she had the floor when both shares occurred, Mr. Schaeffer was made aware of these facts in the days immediately after the PRR request and definitely knew these facts prior to his signing the memo. Mr. Schaeffer, as a representative of all of council, had an obligation to write this opinion with these facts addressed. There are two ways these facts could have been addressed. The first would have been to state them and then give a reason why they should not be considered. The second would have been to state them and state who made the counter claim that Council Member Smith did not pass around contents from the binder and then give an opinion as if each had equal credibility. In an instance where two conflicting accounts have equal credibility, the Ohio Sunshine Laws, requires an opinion that favors transparency. Mr. Schaeffer did not present a legal opinion consistent with the law instead he chose sides and composed an opinion based on political considerations. Mr. Schaeffer signed a memo Re: Energy Aggregation Bid Process dated November 1, 2016. Energy Aggregation highlights that Mr. Schaeffer viewed the purpose of his position as law director as a means to advance his political alliances. The fundamental debate on the Energy Aggregation process boils down to whether Council provides supervision/checks and balance over the City Manager and Staff or whether Council is expected to rubber stamp staff recommendations. In Energy Aggregation, many irregularities were exposed in staff’s work and Mr. Schaeffer actively tried to provide cover by creating a system where council has no means of learning about irregularities in the future. In the original read ahead materials, which were provided to council so council could review the bids, 8 pages of the AGE proposal were missing. City Staff incorrectly calculated the savings of their preferred company at 33% and presented their preferred company having demonstrated the best savings (see the email dated Aug 8th From Bergman, Russ and found on pages 2 and 3). Correctly calculated it was 25%. The computed savings for AGE’s is 27%. I am still waiting on the Buckeye rate. In the City Manager – Consultant Information Summary found in the Aug 16, 2016 read ahead, on page 6 the City Manager writes, “In order to keep the semblance and tenets of the initiated process, please forward all received correspondence to the recommended firm so they may supply us with any additional comments or deliberation” However, since a firm had not been officially picked by council staff was required treat all bidders equally. Staff presented as true the inference made by their preferred company that Sidney Ohio’s program contained opt out/cancellation fees. Note on the third page of this read ahead material the wording “indicates otherwise” was probably used because they knew there are no fees. This information was misleading and in fact Council Member Byrge cited it on multiple occasions as one of her considerations. You can see Sidney’s program has no fees by reading the actual language of a Sidney bill. In it a numerical value of $0 is given for both opt out and cancellation fees. You can also review page 7 of the Sidney Plan of Operation and Governance Opt-Out After Enrollment: Once enrolled in the Program, customers may Opt Out or cancel their service with the selected CRES at any time by directly notifying the selected CRES via a toll-free phone number that will be provided on the Opt-Out notice. In all such cases, the customer may do so without incurring any charges, penalties, or fees. In order to achieve this goal, he ignores facts he witnessed and was reminded about before he signed the memo dated November 1, 2016. In this memo he writes, “Given the fact that communications directly between one bidder and one councilmember which contained substantive matters about that bidder's bid as well as pertinent information about energy aggregation generally that does not appear to have been shared with all of Council, with all of the other bidders or with Staff”. Yet he knew at the time he wrote that statement that each item that addresses specifics about energy aggregation was discussed in the next subsequent public meeting. He also knew each of those items was again addressed within the letter I provided to council explaining my reasoning for vetoing the resolution. First let’s start by addressing the false impression given by Mr. Schaeffer’s statement. There is no requirement by law or even protocol for one member of council to share with another council member any information. That implication is a red herring he played up in order to lure some members of council from the real issues. Next I provided staff and council with all substantive matters and pertinent information about the bidder’s bid. This can be checked by reviewing the videos of the Council Meetings and Work Sessions directly following the emails of concern and also reviewing the letter I presented to council explaining the reasons why I vetoed the legislation. Alternatively, we see staff failed in their duty to keep the playing field even and Mr. Schaefer provides no comment or guidance on this. It was staff’s responsibility to make sure each of the bidders received the same information and requests. It was not until after I vetoed the legislation that staff sent two of the bidders information on the Apples to Apples comparison that was requested by me and a central point of discussion for months prior to the veto. As pointed out in a previous footnote the CM sent an email to staff that directed them only to send information to the firm they recommended. Even though the email claims to desire a “semblance and tenets of the initiated process” the fact is until council passed legislation picking a firm all bidders should have been treated equally and received the same opportunity to provide additional comments or deliberation. Looking at the emails I received as part of a public records request it appears staff followed the direction given in the CM email. Examine my actions and you will see that doing things with proper read ahead materials and in open meetings provided appropriate checks and balances that were able to correct the irregularities introduced by staff actions. Those irregularities were corrected by early October. The proper course of action would have been to complete the gathering of information Council needed in order to start discussions on which company could provide the best service for our residence. Instead Mr. Schaeffer, bent on creating a system the prevents council from providing oversite, has delayed the process for more than five months. Mr. Schaeffer embarrassed Council with his complaint to the Ethics Committee. The report submitted by Mr. Schaeffer was so poorly conceived a high school student would have been embarrassed to present the document. The complaint filed to the ethics committee contained only one allegation and that was that I had exchanged emails with one of the bidders. A review of the ethics commission rules shows that the commission addresses complaints that involve a public official or their families personally profiting. It also examines whether confidential information is provided to a company. The complaint filed by Mr. Schaeffer did not make either one of these assertions. You can read both the Draft version of the Complaint and the Ruling. Then judge the quality of products provided by PS&E associates. Mr. Schaeffer, after being wholly rejected by the ethics commission, thrashed out with false allegations of law violations. 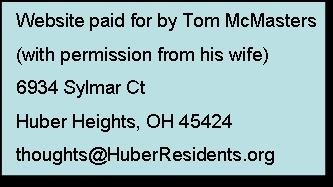 After receiving the Ohio Ethics commission results Mr. Schaeffer signed a letter Re: Complaint to the Ohio Ethics Commission, dated December 27th, 2016. In this letter he continues to suggest there is a possibility that my actions were illegal. He concludes with “the facts of this matter clearly result in a violation of the public bidding laws with the remedy being a rejection of all bids and a rebid.” But on multiple occasions throughout the document he writes, “this entire matter may be judged either …… or as a major breach of the bidding laws of Ohio consciously undertaken with an ulterior motive”. These accusations of law breaking are made with no basis. Mr. Schaeffer provides no references to any specific law nor does he provide any specific example of a behavior I exhibited that would be tied to any law. The thrashing about he does in this letter appears to be done only in hopes that he can convince council this bid process was tainted and make council less inclined to examine staff’s work product in the future. Any objective observer of the process knows that only the alternative motives of Mr. Schaeffer would cause anyone to judge this matter as either nothing more than the overzealous efforts of an elected official to "do the right thing" or as a major breach of the bidding laws of Ohio consciously undertaken with an ulterior motive. The objective observer knows this was the zealous effort of an elected official to do the right thing. 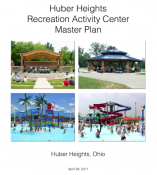 The objective observer also knows these actions need to be the model going forward to make sure council provides the right checks and balances to the work done by staff and ensures the residents of Huber Heights receive the best services and value for their tax dollars. Conclusion: This is not an isolated incident. Mr. Schaeffer, a partner in PS&E, has provided politically motivated decisions for at least the five years I observed him. We know that other associates in that firm do much of the work Mr. Schaeffer provides for the city. In the example above the associate presented by PS&E as their candidate for our law director had direct knowledge of four of the points made above, yet, he did nothing to prevent Mr. Schaeffer at the time of his offenses nor has he done anything to correct them since acting as our law director. For all these reasons Pickrel, Schaeffer and Ebeling is not a viable candidate for supplying our next Law Director. Minutes from Oct 24, 2016. As an aside, note that those council members that complain about how long we take to discuss policy and numbers during work sessions, had no issues with staying late for an illegal meeting to discuss political strategy. Mayor McMasters said there is a need for a motion to go into Executive Session this evening to discuss collective bargaining matters, personnel matters relating to performance of a public official, and pending or imminent litigation. Mr. Campbell so moved; Mrs. Byrge seconded the motion. On a call of the vote, Mrs. Byrge, Mr. Lyons, Mr. Shaw, Mrs. Smith, Mr. Starline, Mr. Campbell, Mr. Otto, and Mrs. Blankenship voted yea; none voted nay. The motion passes 8-0. The Executive Session commenced at 8:50p.m. Mayor McMasters left the Executive Session at 9:40p.m. The Executive Session ended at 11 :55 p.m. with no actions being taken. Vice Mayor Tyler Starline said Mayor McMasters had left the Executive Session earlier so he was closing the meeting. The Clerk of the Council points out that he took the CD from Ms. Smith up to the front of the room but did not actually us it in the meeting because it was already stored on the computer. This is not relevant. The relevant part is that Ms. Smith made the contents of the binder available to the people present. This impression was further strengthened when I asked Ms. Smith, which council members had received the CD with the information from her PRR and she replied, “Everyone but you”. Given the recent Supreme Court case it would have been proper for Mr. Schaeffer to pipe up and declare the meeting illegal then but he did not. Schaeffer Memo November 7, 2016 Re: Mayor McMasters Public Records Request See last paragraph. Opt-Out After Enrollment: Once enrolled in the Program, customers may Opt Out or cancel their service with the selected CRES at any time by directly notifying the selected CRES via a toll-free phone number that will be provided on the Opt-Out notice. In all such cases, the customer may do so without incurring any charges, penalties, or fees. Attached is the apples to apples comparison that two of the companies put together for each of their negotiations. If you could, please put one together for your company. We may be starting over with proposals in the next few weeks. If you have any questions, please let me know.